ous day, the day on which His Holiness the XIVth Dalai Lama received the Nobel Peace Prize in 1989. Since then the Central Tibetan Administration (CTA) and Tibetan people both in and outside Tibet have been celebrating the day to express our gratitude to His Holiness for his leadership and presence at the most critical period of Tibetan history. CTA has also marked the year 2014 as the year of His Holiness the Dalai Lama. With the celebration of the 25th anniversary of the conferment of Nobel Peace Prize to His Holiness, the Central Tibetan Women’s Association and its 56 regional chapters across the four continents (Asia, Australia, Europe and North America) organized a campaign called SEE YOU IN LHASA. The campaign is to evoke the unanimous vision of every Tibetan that is to make the return of His Holiness to Tibet and uniting with our brothers and sisters in Tibet. 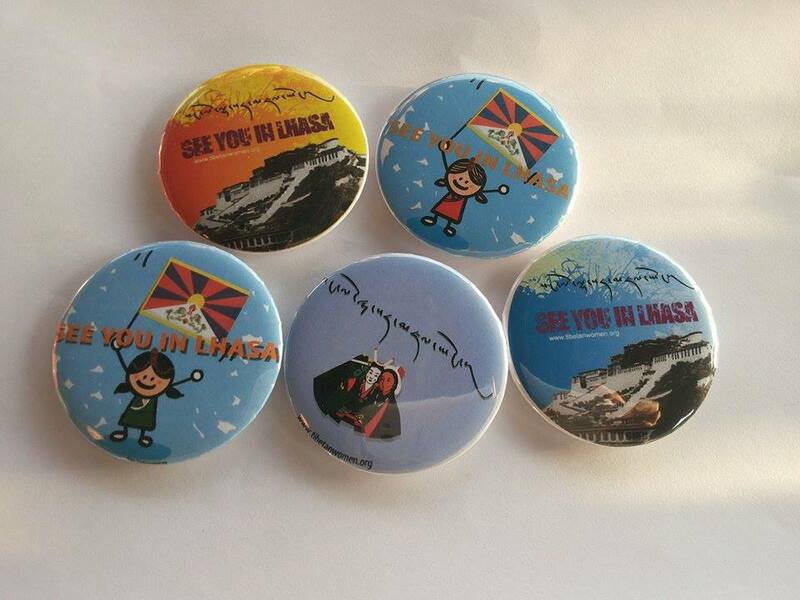 SEE YOU IN LHASA bags.TWA aspires not only to make Tibetans and friends of Tibet all across the world to wear the badges, set the ringtone and carry the bag, we seek everyone to live with the dream of return back to home.